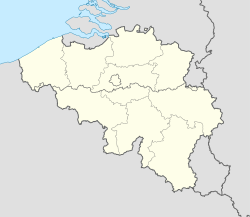 Lincent (Dutch: Lijsem) is a municipality of Belgium. It lies in the country's Walloon Region and Province of Liege. On January 1, 2006, Lincent had a total population of 2,998. The total area is 14.75 km² which gives a population density of 203 inhabitants per km². The municipality consists of the following sub-municipalities: Lincent proper, Pellaines (Pellen), and Racour (Raatshoven). This page was last edited on 13 January 2017, at 07:15 (UTC).